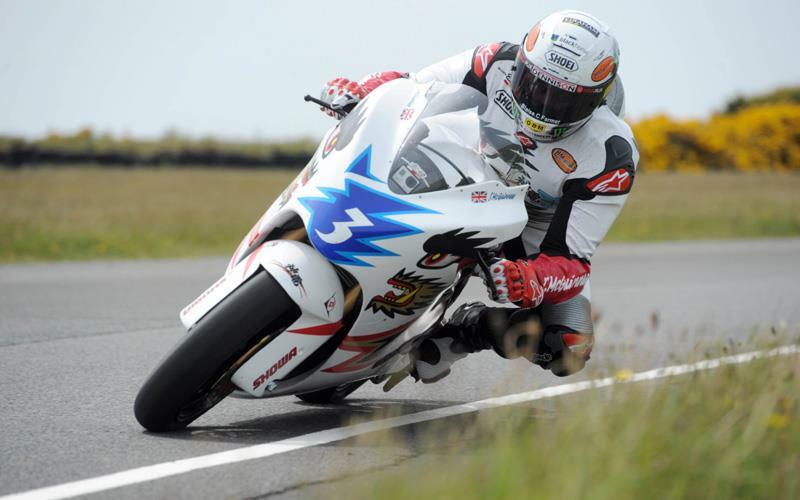 John McGuinness tested his new Mugen Shinden electric bike for the first time at Jurby airfield on the Isle of Man today. The 19 times TT winner, who finished second behind Michael Rutter in last year’s TT Zero race, was full of praise for a machine that the Honda-backed team have described as ‘brand new apart from it’s cycle parts’. 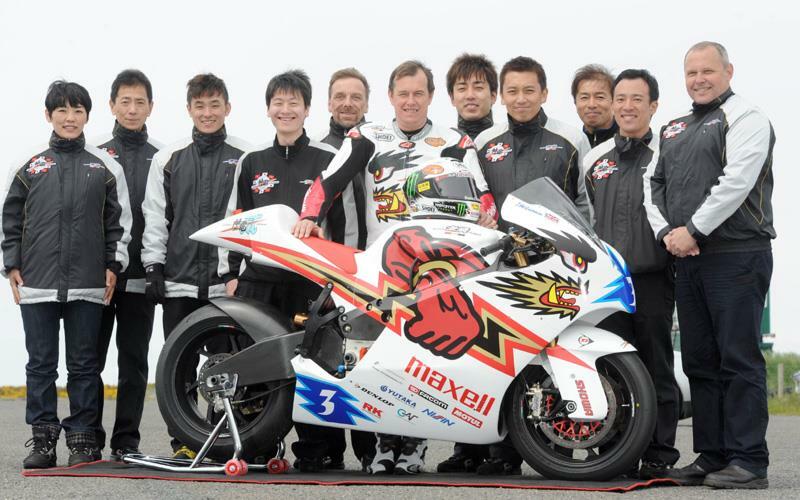 Colin Whittamore, the General Manager of Mugen Euro, conformed that the new bike, designated Ni, is 20kg lighter. It also has a new frame, swing arm, motor, battery pack, controllers and invertors and bodywork. 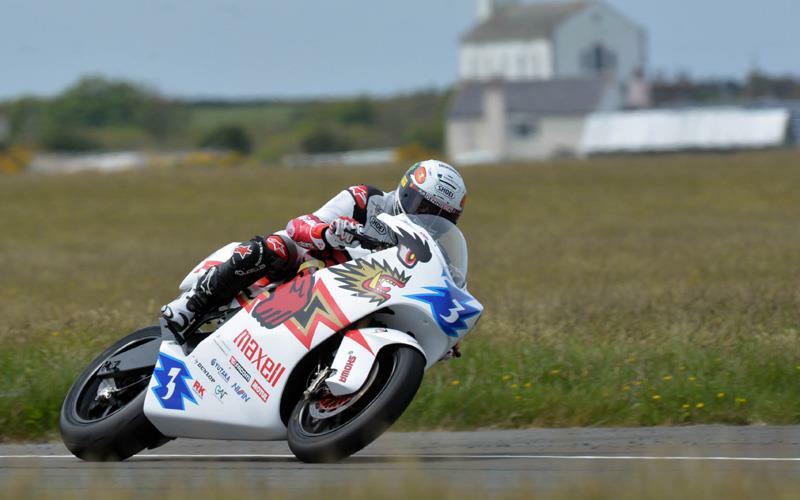 Mugen’s great rivals in the Zero TT, MotoCzysz, have predicted a similar lap speed after Michael Rutter topped 104 mph in last year’s race, the first time that an electric powered bike had lapped the 37 ¾ mile Mountain circuit at over 100mph. Intense secrecy surrounded the test with photographers being prevented from taking pictures of either the race or test versions of the Mugen bike without their bodywork. However, McGuinness revealed that he thought the bike was water and oil cooled for 2013. “I saw a few more radiators when they took the covers off.” he said. The team were testing new maps at Jurby that control how the bike discharges its power over a period of time. “We can give John a series of options like a fighter pilot would have for the race or just one or two.” Whittamore explained. Although Whittamore says that there is “no grand plan in the box to sell road or race bikes” he was unwilling to say just how much money Mugen has invested in the new machine. McGuinness says none of this will affect the way he rides the bike in the race.